There is something simply magical about the feel of a beautifully made woolen piece during the dark and harsh cold snaps of winter. Although summer may be fast approaching, I must admit that I am always excited to preview the range of autumnal pieces that are showcased at this time year. 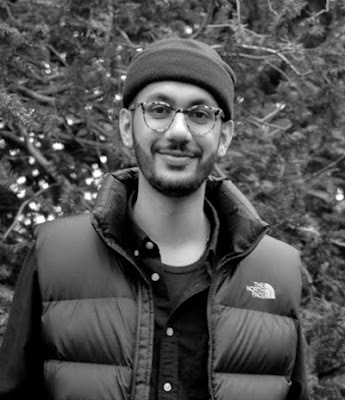 The fashion calendar may be a relentless one, yet I always feel it important to look through the designs and inspirations when they first come out for that first taste, then a short while after for one's mind to fully appreciate each collection deservingly. Of course, each collection is then reviewed just before the start of the relevant season to remind one of what the range in designs were. 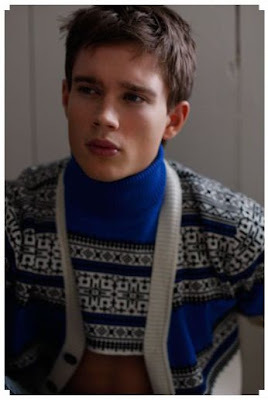 As such I was very excited when I first saw the latest Fall '09 collection by Arne & Carlos. Since then, my attraction towards and appreciation of the pieces has done nothing but grow. 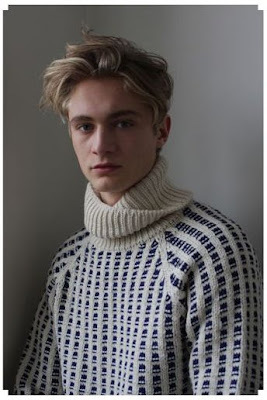 Drawing on their extensively researched knowledge of traditional Scandinavian knitting techniques, the Norwegian and Swedish design duo of Arne Nerjordet and Carlos Zachrison, work to create pieces that are historically based in their design aesthetic, yet modern in their approach. 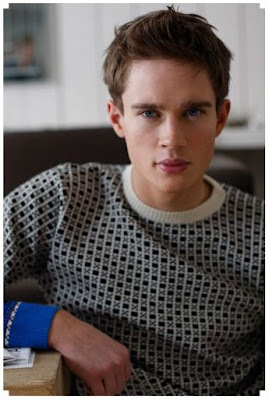 For the collection, Arne & Carlos offered their trademark of visually rich and well tailored knitwear. Their pieces were inspired by traditional Scandinavian design, however the finished results, rather romanitcally, were actually made by artisans in Peru. Each piece travels an amazing journey from its inception to the wearer. From the duos design base in a disused railway station North of Oslo, the designs are taken to Peru, where pieces are both hand and machine made. Each piece is then lovingly finished by hand before being shipped to retailers. I suppose the very journey that each garment undertakes and that sense of one's clothing having a story to tell is always fascinating. And indeed, knowing the effort and skill that goes into each piece is both reassuring and helps to garner a deep appreciation for one's purchase. Thank you for including the women's pieces... quite frankly, it was the only time my my stopped going mooney-eyed to enjoy the beauty of the pieces. And beautiful pieces they are. Absolutely extraordinary. ...but I'm folding my chunky knits to the cedar closet...til we meet again next cold winter darlings! Hey there. Wow. Those all looked incredible. I enjoyed all the pictures. It's still some cold weather here so one of those would be nice about now. I love these,very versatile pieces; I am looking this label right now thanks for sharing dk. These mens are adorable. 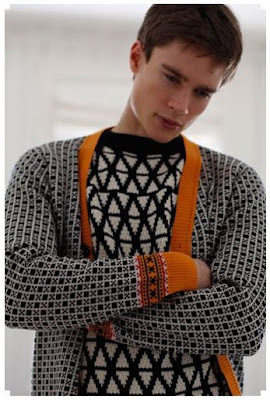 I love looking at knits, but I can't really pull them off. But I do really like the cropped cape looking one. I also just noticed that Grace Kelly is on the right. She's so classically beautiful. Her wedding dress is such a dream. 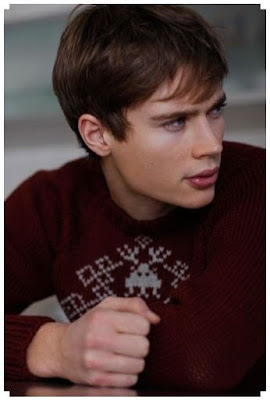 I'm loving the space alien + fair isle sweater. 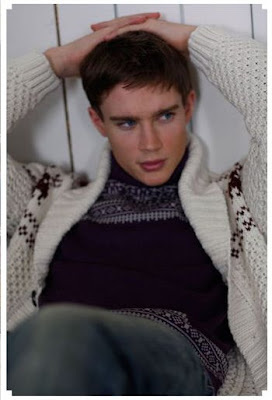 Such fab hybrid knitwear! Love this story - very well written and endearing! Love that capelet so! Every piece is so rich, both color and texture wise. I'd definitely could use some of those when winter comes. I am officially in love with each and every one of those pieces, DK! tbh recently ive been feeling far too summery to even contemplate knitwear, but these pieces are amazing. I want Christmas and these sweaters! My next door neighbour is peruvian and she always brings back the most ADORABLE knits. Love it, love, love it all. Oh I want those sweaters! It's almost making me wish it were still winter. The Scandinavian design inspiration is fantastic. And those models are so good looking! I actually liked the male sweaters best. I think something like these should be incooperated in the next Harry Potter film..so doubtful, but Tom would be perfect in this shoot. I dunno why but the guy made me think of the son in 3:10 to Yuma. As if I was really looking at sweaters..hahahaha..
thanks so much for the note. um, well, parker is a lot like someone I know, and yes, when my brother was a shelver at the lib. all he did was sit in the stacks reading books..usually about crime. 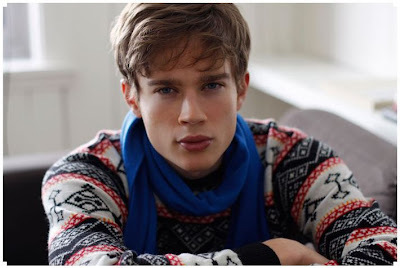 Love the sweaters and the designs...but the models were a bit androgynous for my taste. Those are beautiful! I'm regretting not having taken more advantage of winter while it was here, now that England is warming up. And I'd say that contemporary is probably a complete hybrid of ballet and break... maybe with a little jazz thrown in. Having tried pure ballet (augh!) and then just street dance, I find it to be a fantastic compromise between the two. i love that pom pom capelet! These are really gorgeous. 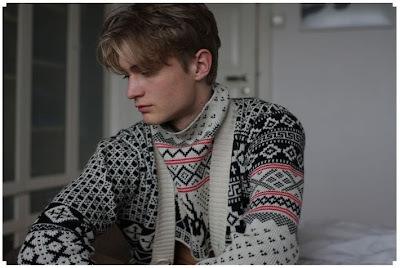 I love knits as a rule but those are just amazing. darling loving these knits! these are fabu sweetie. i want them all! I want to look like that. Great pics. Making me feel warm. There is such a satisfaction in buying something that already has such a story behind it. I love the character each garment has. 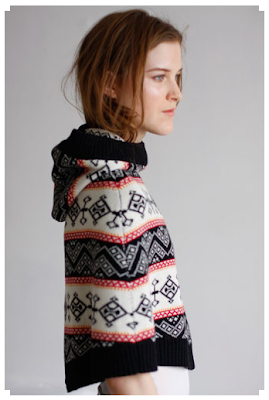 These knits are definitely reassuring me about the rather rapid descent into Winter this year. these photos make me feel so relaxed.